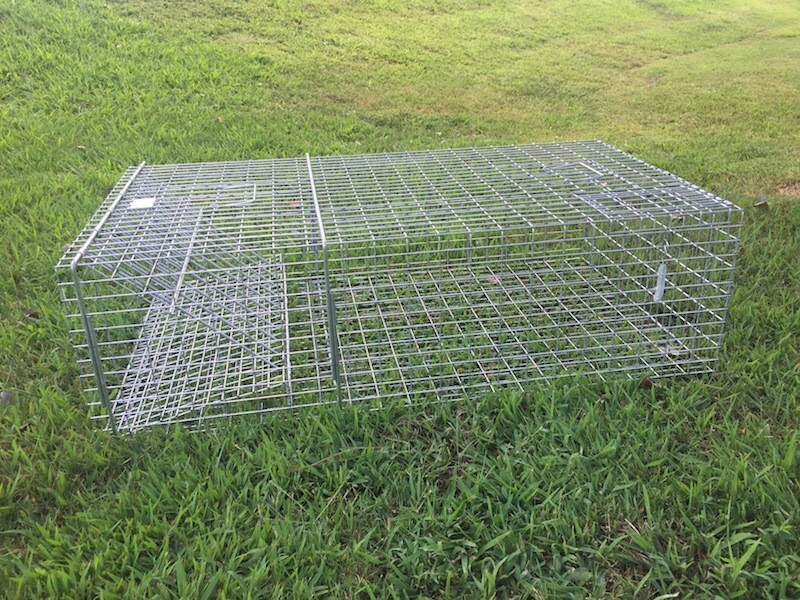 TRAP DESCRIPTION: Great trap for catching multiple large turtles at one time. This trap measures 42" Long x 24" Wide x 12" Tall. Turtles enter through one door by pushing on it to get to the bait inside. The door easily opens and will close behind them once inside. Turtles are motivated to enter the trap when it is baited with something the turtles are eating that is found locally. This could be a type of plant, fruit, vegetable or fish. Turtles will try to access the trap by walking around it pushing on the sides of the trap as they go. It also has a "bait door" near the back of the trap to allow quick and easy baiting of the trap without reaching through the repeating trap door. It works especially well on snapping turtles and other strong species.